With regards to the article on this Link ‘The Conference of Green Lane Mosque (Singers and Ikhwanis) and Internal Politics: Part 3 – Alum Rock, Madeenah.Com and Luton’, we would like to testify to some historical facts mentioned by our elder brothers at Al-Maktabah Salafiyyah that some of these people [i.e. The present GLM rebel group] were engaged in plotting against the Salafiyyoon; rather we also testify to the fact that some of these people even plotted alongside the followers of Al-Maribi [Luton etc.] against the Salafiyyoon. In 2003, Luton (followers of Al-Maribi Al-Mubtadi) and others sought to establish an alliance aimed at poisoning and corrupting the minds and hearts of the ‘Salafis’ with innovated principles that are not part of this blessed Manhaj Salafi. It was an alliance aimed at laying down a red carpet in the UK for their callers to misguidance to tread upon—under the supervision of the Jordanians. This destructive alliance was present in Birmingham, Manchester and other places, and it comprised of 2 different ‘Networks’; its main control centre was based in Luton, with the likes of Abdul Qadir and Co, and he was its main coordinator in the UK, who in turn was receiving guidance and advice from Jordan on how to progress this alliance under the guise of Salafiyah. They were actively seeking to attract all those naïve brothers and sisters who did not agree with the stances taken by ‘Salafipublications’, Al-Markaz As-Salafi (Darul Hadith at the time), ‘Al-Athariyyah’, ‘Troid’ and those along with them, especially in the matters related to refutation, clarification in issues of Manhaj and Dawah. 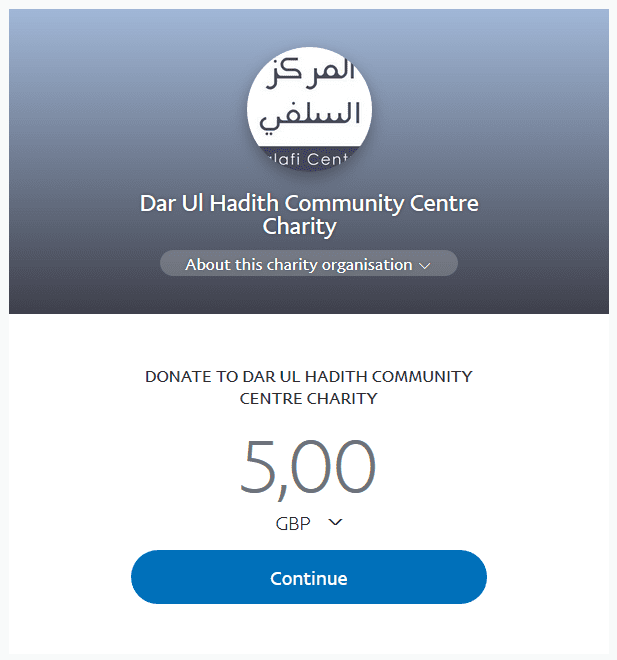 On the other hand, their main recruiting centre in Birmingham was under the supervision of Israar Khan, who openly confessed to Al-Markaz As-Salafi that he was a ‘Jaahil’ in matters of Manhaj. In the past Salafipublications unveiled the treachery of this man, and in fact, Israar did openly admit that he secretly plotted against the brothers and he made Tawbah twice regarding his evil. This was public knowledge in Birmingham. And yet after all this, he was at it again. Thereafter he was joined by some individuals from Alum Rock ho were plotting against Al-Maktabah As-Salafiyyah. He made it clear that the foreign coordinators of this network were Saleem Al-Hilaali, Ali Halabi, Musa Nasr and Usaamah Qoosee. He also revealed that the only brother himself and Abdul Qadir can recommend at the time was Israr Khan of Hamd House, and that Israr did not agree with some of the things those individuals from Alum Rock were doing—because their main agenda was to bring down Abu Khadeejah, and they were trying to do so through the Shaikhs Abu Khadeejah refers to. Farasat considered this tactic a foolish one. Farasat also made known that in 2003 Brixton contributed to the air tickets of the Sheikhs (i.e. Jodanians) to prove that they had a good working relationship with them. So this was the Network set up to fight against the Salafiyyoon, split their ranks and propagate the manhaj of Maribi Al-Mubtadi. During the late 90’s they were focused on refuting Ash’aris and Deobandis on fiqh matters, a matter for which they were repeatedly warned against and told that our refutations upon them start with matters of creed, not matters of fiqh. They maintained the view of absolute unlawfulness of taqleed, without exception, on the basis of which they considered Maktabah Salafiyyah as being astray and misguided. They also made it very clear to us [Al-Markaz As-Salafi] through their spokes man that Maktabah Salafiyyah was to dissolve its shoorah and they should be part of it. This revealed their sick desire for position and leadership. Abu Halimah (Naeem Bashir), myself (Abdullaah) and another brother [who is now a defender of Al-Hajoori and is being referred to as the Email Shaykh on this website (may Allaah guide him)] decided to publicly inform the Salafis about the treachery of this network after receiving information from Abdul Qaadir’s close associate. All praise is due to Allaah, this further strengthened the unity between the Salafiyyoon of Al-Markaz As-Salafi and our brothers at Al-Maktabah Salafiyyah to this day. We ask Allaah to keep all the salafiyyoon safe from deceit, treachery, betrayal and disunity—Aameen. If there is any need to elaborate and provide more detail about the activities of this group, we will do so Inshaa-Allaah.